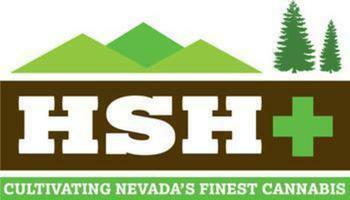 Our Nevada locations offer a wide variety of HSH Nevada Growers products for our customers. Come by or contact us our knowledgeable staff to help you pick the right one. How often do you hear the phrase, “Pheno hunting”? Unless you’re a grower or part of HSH Nevada, likely not often. Pheno hunters look at the plant superficially and continue to grow the same seeds until they are satisfied and find their final “keeper” clones, which they then use for future breeding and projects. HSH Nevada growers are experts at pheno hunting. They sign with specific breeders for permission to hunt their stock to find the best of the best possible strain they are looking for, as opposed to just outright buying then later deciding what to keep and what to toss. Sitting in Northern Nevada, HSH works with select breeders from around the world to find these strains. In doing so, HSH is able to guarantee each strain is of the highest quality and consistency. They are known to have one of the best facilities in Nevada, which allows them to do large-scale pheno hunting. Whole rooms are dedicated to a single strain derived from one seed to create the perfect product for you! The Dispensary NV locations in Las Vegas, Henderson, and Reno, Nevada carry a variety of these high-quality products by HSH – mostly sativa, live resin and heavy-hitting hybrids – and will help you find any high you’re looking for. The Dispensary NV carries an abundance of HSH live resin. Live resin is a type of cannabis concentrate. It is made by taking freshly harvested cannabis, freezing prior to and during the whole extraction process. Live resin concentrates differ from other concentrates in the elevated terpene content that the extracts will contain. In short, live resins carry a more robust terpene and produce a more pungent aroma that can also deliver a higher psychoactive experience due to the way it interacts with THC and CBD. The flavor and aroma of the live resin are the major selling points and why users prefer this type of concentrate to others. For any other questions or if you need help figuring out which HSH product is right for you, our highly knowledgeable staff in Las Vegas, Henderson, and Reno are more than happy to help you out.